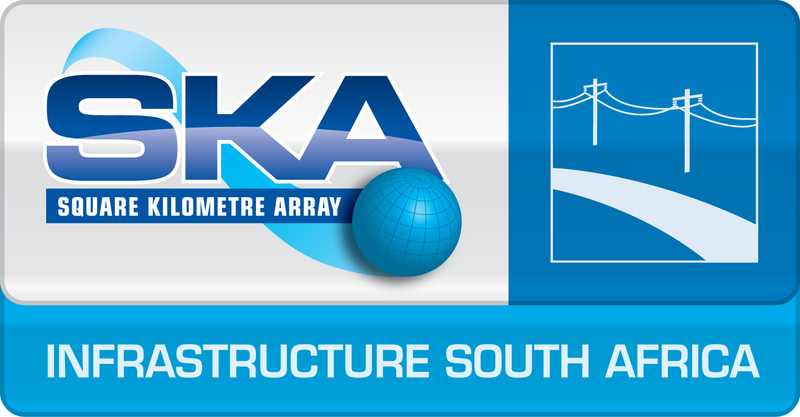 The INFRA SA Consortium is responsible for the preliminary and detailed design of the Infrastructure & Power Elements for SKA1 MID in South Africa. This includes Access (roads, civil works), Buildings, Communication, Site Monitoring, Security, Antenna Foundations, Vehicles, Power, Water and Sanitation. 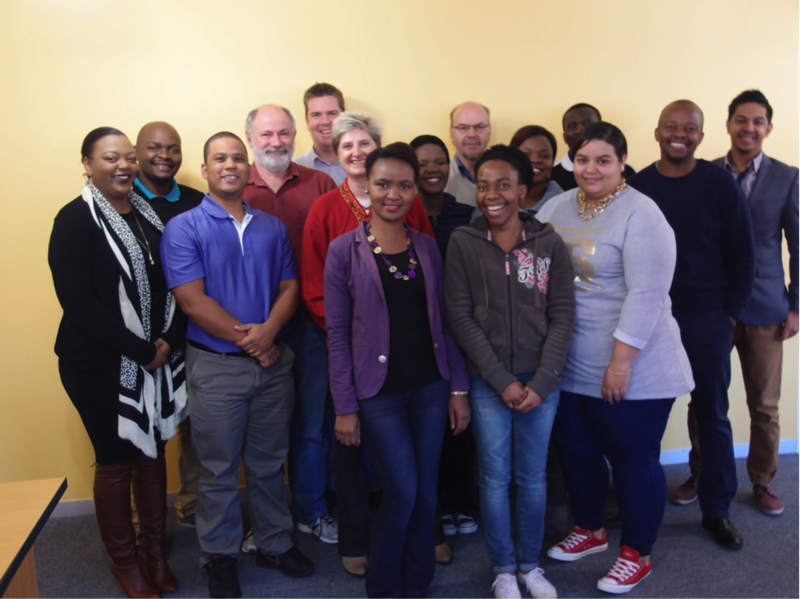 The Consortium currently consists of SKA SA in-house staff as well as young graduates and retired engineers who are providing support and mentorship to the SKA SA team. An analysis was undertaken by the Consortium in conjunction with Eskom (South African power utility) on different grid power supply options to the SKA site while considering different siting locations for the SDP in the Karoo and in Cape Town. The current design will be to re-use the existing 33kV power line constructed for the precursor, MeerKAT, and a new 2.1MVAR shunt capacitor will be installed at the Karoo substation which will be able to provide 5.2MVA capacity on site. The SDP is currently located in Cape Town as per the SKA1 Level 1 baseline requirements and the provision of power to the SDP in Cape Town can either be through the City of Cape Town or directly from Eskom. The design of the SDP building is outside the scope of the INFRA SA Consortium. The Consortium undertook a trade-off study with inputs from the SaDT Consortium to consider six different siting locations for the SDP building in the Karoo and in Cape Town. This study took access to grid power, land, buildings, infrastructure and the long-haul data fibre network costs into account. Based on overall life-cycle costs, planning and approval considerations, the INFRA SA Consortium felt that the SDP would be best located on site. 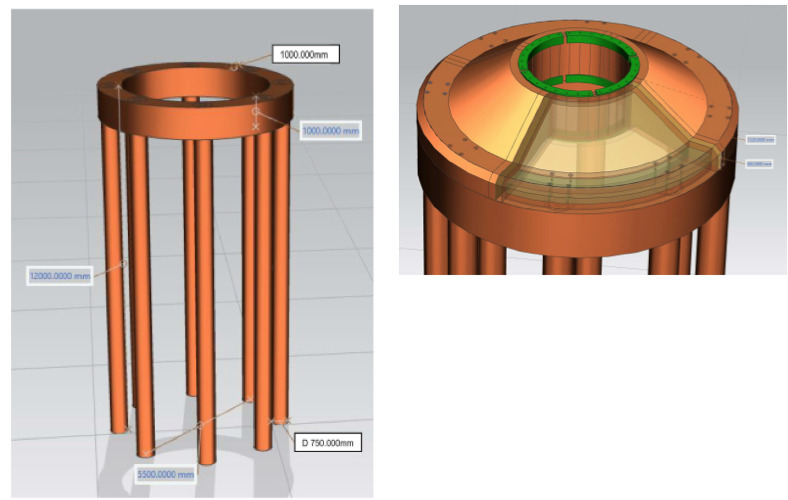 The purpose of this study was to define the SKA1-mid Infrastructure and Power Element construction deployment strategy that is efficient and cost effective; thus allowing the necessary infrastructure and power to be in place for the other Telescope Elements to commence with their deployment. The current plan is based on commencing with construction of the infrastructure and power in 2018 with a 36 month construction period ending in 2021. The Consortium has proposed a “big-bang” approach where construction happens concurrently in the Core and on the 3 spiral arms. 1. Pre-Cast Quarter Top Concept consisting of 8 x 750mm diameter piles which are drilled into bedrock. Above the piles, a 1000mm wide, 1000mm high and 5,5m radius ring beam is cast in-situ into the piles. On top of the ring beam, four (4) sections of precast concrete are placed and tied onto the ring beam. 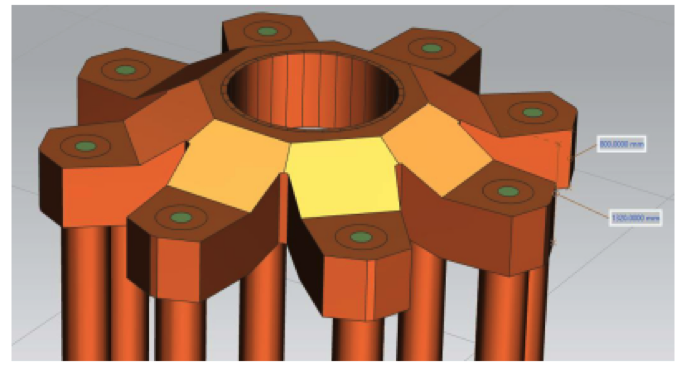 This was subsequently modified during the preliminary design phase to 1050mm diameter piles; increasing the thickness of the ring beam to 1350mm and increasing the hold-down bolts to 40mm diameter. 2. Steel Top Concept which has identical piles and ring beam arrangement to the Pre-Cast Quarter Top Concept. Instead of the precast concrete sections, there are eight (8) I-beam steel sections that are tied to the ring beam and to a steel ring at the centre of the foundation. 3. The Pre-Cast Spider Concept which also has 8 x 750mm piles, but does not have a ring beam. Precast concrete sections that form a shape of a spider are tied directly to the piles. 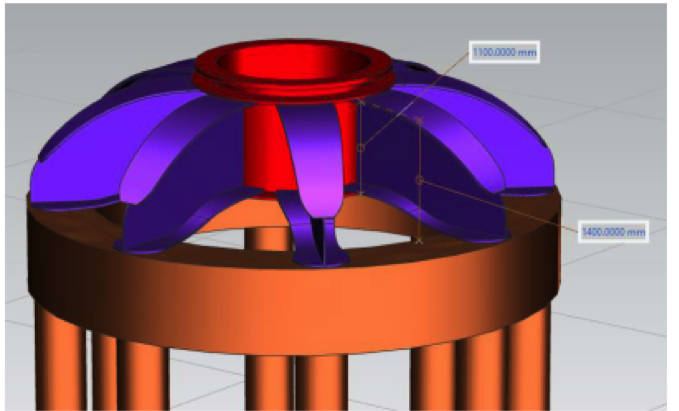 All three solutions were analysed to achieve the ≤ 2,5 arc second tolerance under the precision conditions, when subjected to wind load forces only, and not to fail or over-turn when under the degraded and survival conditions. Both the degraded and survival conditions took into account the wind and the self-weight (gravity). After further analysis and modelling (cost, performance & constructability), the Pre-Cast Quarter Top Concept was down-selected as the preferred option and carried forward as a preliminary design solution. Further work will be required on the down-selected preferred solution and other solutions as part of Stage 2 work when the ground investigation results become available. The Consortium kicked-off Stage 2 on the 15th of April 2015. The first deliverables underway are the scoping and contracting of specialists to undertake a topographical survey for SKA1-mid and a geotechnical and geohydrological study which are all required as inputs to the Stage 2 design of the Infrastructure and Power Element. These studies are expected to be completed by the end of March 2016. The SKAO, INAU and INFRA SA submitted a joint funding proposal to the European Commission to access Horizon 2020 funding. A positive response has been received on the funding request to cover the Consortium’s Stage 2 work.